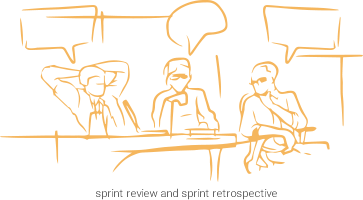 The most comprehensive Scrum management collaboration tool. One click action. Instant save &sync. Under the oversight of experienced Agile coaches. The most successful companies are driven by Objectives and Key Results (OKR) method. It helps align teams around objectives that describe achivements the team have to realize. To make them concrete, break down objectives into multiple smaller goals. Set expected dates and assign goals to responsible persons. Good objectives should be SMART. Define them with expected key results. Set minimum and maximum expected value that should be achieved. Track actual value and evaluate their progress. Ojectives and key results are implemented via epics, features or product backlog items. Track implementation progress based on the progress of related items. Hundreds of requirements? 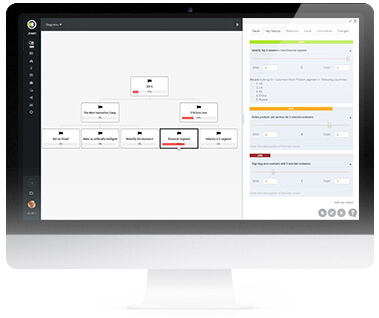 Do you miss the transparent and easy way to see the status of product/project implementation? From ideas, through themes, epics, features to user stories. Start with high-level requirements, break them down and order on the roadmap. You can’t get lost with requirements on visual cards in the multi-level hierarchy backlog. The card keeps all necessary details, attachments, and communication in one, central, place. Detailize ideas with themes, epics, features and user stories. Requirements might be of multiple types so to have business requirements, defects, technology debt or even DevOps tasks at one common place. Once requirements are defined, it is necessary to plan the implementation. With ScrumDesk you can think mid-term and short-term at the same time. Roadmaps let you schedule features into the plan that can include multiple milestones as well. Once the development is started, ScrumDesk will show you reality vs. your plans. Continue with the planning of releases and sprints to let the team focus on the most important requirements. Meanwhile, you will have time to detail additional requirements. Manage with Scrum or Kanban. Track tasks on visual Kanban boards. Change status by drag and drop between multiple columns representing a status of the task. Customize workflow with one click on the board. See tasks on colored cards. Track type of work with task types. Recognize blockers faster with impediment or waiting flag. Fast editing with automatic save. All changes are synchronized instantly without the necessity to refresh the page. Detail information was selected thoroughly together with agile coaches considering real-life agile reality. 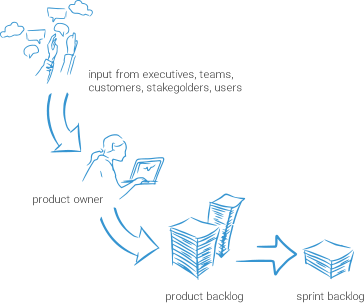 Everything needed for agile development is there. If you still miss something, add it to custom fields. Reports are updated at any moment. To support your stakeholders, reports can be printed or exported as PDF. In addition, reports are focused on predictions and identification of mistakes in the Scrum process. You can’t do the work the same way in the era of constant changes. The speed of business, competitors and fast changes of technology urge you to improve continuously. 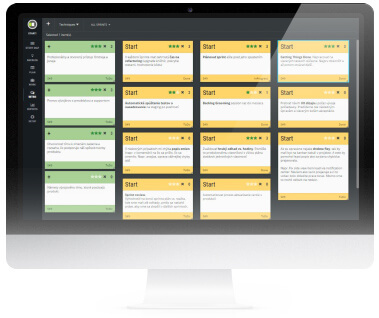 ScrumDesk is the only tool on the market which integrates retrospective as for identification of waste and improvements ideas as part of the project management. To make them more fun we selected the best 14 retrospective techniques suggested by agile coaches. The team can evidence ideas of multiple categories, agree on top most important with voting and then track an implementation status. Either the team is collocated or distributed. Because any change is synchronized instantly. And in the case the problem is more complex, the team can do root cause analysis with causal loops diagram or mind map. Deep dive with 5 why technique, identify causes & consequences, see cycles to break. 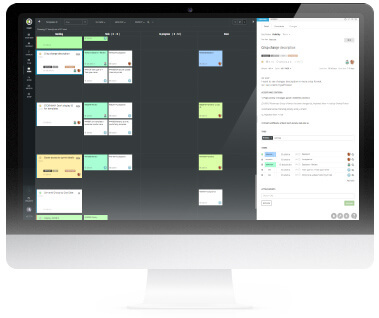 28 000+ companies and non-profit organizations use ScrumDesk as Scrum project management tool. 200+ universities use ScrumDesk to teach how to apply Scrum correctly. For free. 10+ years of continuous support of agile teams. ScrumDesk is done brutally well. Simple and it offers everything I do expect that should be included in! 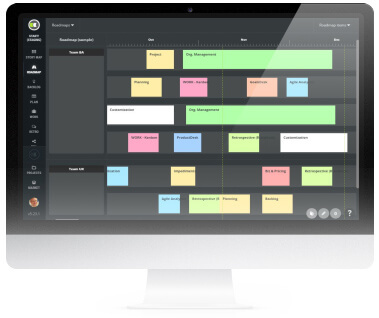 ScrumDesk is unique task manager. 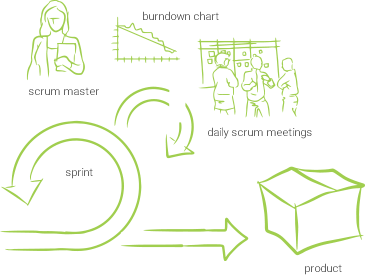 It is strictly consistent with the methodology, at least in the sense that we understand Scrum. We tried a variety of options, including those listed above, but stopped on this scrum project management tool. I love the way it makes the work planning efficient. Once I enter stories/features/epics I can reuse them in other templates and plans! Your ScrumDesk is brilliant! We tried to use Jira, Aha.io and many others, but that’s what you do… There is no words to describe UX and simplicity. Your ScrumDesk has been invaluable for planning my bachelors project. Thank you! Was really taken by surprise on how much of flexibility a simple card is provided with literally able to do everything that i could do on an index card in just one click. If you look for a high tech tool, ScrumDesk is one that you can consider. First of all i would like to say that your app is the best one I’ve found after several test with other apps!. Great work! Awesome. The last release was extraordinary! Nice work! Thank you so much. ScrumDesk is a very good tool. Thank you for your responsible help and support. There is the only functionality that for me, is missing for this product to be perfect. Thanks for considering my request. More power to the team! We are starting to use scrum for our dev team and your soft seems like what we need. Nice and lightweight interface! Excellent. You always seem to be one step ahead.